Coin Design Contest. The winner's design will be used for production of Wirtland's gold coin. To enter the contest, email the image to CoinDesignContest (at) Wirtland.com. 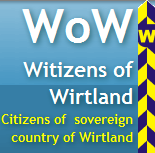 If you are a member of Wirtland community, you may also upload it to Witizen Network. Professional designs are welcome, as well as concepts and ideas for the coin design. Coin Name Contest. This contest does not require such professional skills as the designers' competition, but is no less important. 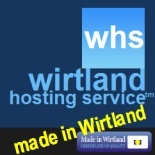 Proposals are welcome regarding the name for Wirtland's gold coin. Please submit suggestions to CoinNameContest (at) Wirtland.com, or add as comments to this article. A separate discussion may be opened at Witizens' forum.